I wasn’t exactly sure what the email meant, although I did have some inklings. 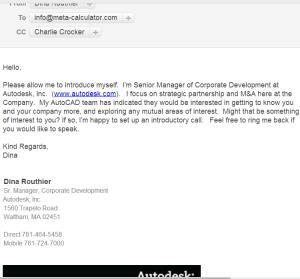 Being as it was AutoDesk, I quickly got in touch with the author of the email message. Dina was very straight forward. In our first phone conversation, she said that AutoDesk wanted to “buy my company” —mainly due to our graphing calculator. It turns out that AutoDesk wanted to incorporate the calculator into its flagship product, AutoCad. Cool, right? I mean, who hasn’t used AutoCad! What an awesome idea–a program that I know and have used, AutoCad, would include a button to pop up meta-calculator! Such were the first thoughts that swam through my inflated head. My lawyer Booker, who has a lot of experience representing small companies negotiating with big ones, advised me to quickly be upfront about any non-negotiables in order to quickly identify any potential deal breakers. Well, a deal breaker did soon emerge. After a few more phone calls, I was told that I would need to be part of the purchase and work at AutoDesk. And, upon reflection, my head cleared. I realized that my idea of hitting a button in AutoCad and seeing meta-calculator was not realistic. Instead, meta-calculator would be wiped off the face of the Earth and replaced with AutoDeskCalculator! The thing is, I didn’t have the calculator created simply for it to become a small widget in a larger product; no matter how big and impressive that could be. My vision for meta-calculator was to create an online student calculator that could be used as a replacement for the TI-89 graphing calculators that are a) very expensive and b) ubiquitous in schools. Why should students have to shell out $100 to get a quality calculator. You might be saying to yourself that there are lots of online graphing calculators. Well, that was not the case when I first had the calculator created. At that time, there were a few shoddy Flash apps; none that could graph implicit equations like meta-calculator. Though that has changed and other online calculators can now graph implicit equations. To my knowledge, there still is no other credible online replacement for the TI-86/Ti-85 handhelds except our own. Meta Calculator was and continues to be a resource for the needs of a typical high school or college student. As such, it can do the common types of formulas and calculations that these students need. In the end, I just didn’t see myself being happy as AutoDesk’s “calculator widget guy.” It was clear that meta-calculator would be completely re-purposed. Even though it would be part of a large international product, the calculator would no longer have anything to do with the original vision I had for it – to be a free online replacement for the monopoly of the TI hand calculators in schools. I’m happy to announce the launch of a new site, which is dedicated to creating graphs and charts. The new Web site, www.meta-chart.com, is designed for students and teachers to choose the best way to represent their data—whether a pie chart, bar chart or other type of graph/chart. 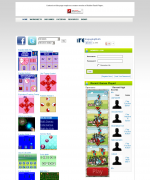 Also, the META-CHART site includes the chart makers that were on the www.mathwarehouse.com site. Now, that site’s popular chart making pages are a part of the META-CHART site. We are simply offering all of these great chart makers in one convenient place! 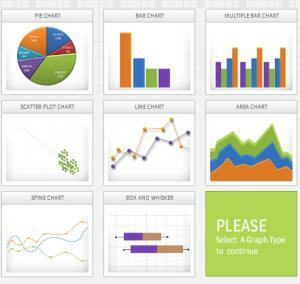 Here’s some of the types of charts and graphs you can create using META-CHART! Give it a try! You’d think that having traffic levels that require a dedicated server would be an unequivocally good thing, right? Well, overall, yes, it’s good; however, you might be surprised to learn how complex the situation soon becomes, how many choices you have–do you want a managed dedicated server? Do you want an unmanaged dedicated server which means you’d need to hire a sys admin to manage it? Well, when our traffic levels initially hit dedicated server levels, managed hosting seemed to be the easiest solution. I mean–why not let your hosting company defend your sever against viruses and do all that other system admin stuff? Well, after having used inmotion hosting’s managed dedicated servers for 1 year, I can tell you that that there are some draw backs. For instance, managed hosting accounts frequently restrict your ability to configure the server , often do not grant root access or,i f they do grant root access, make you jump through all sorts of hoops , and managed hosting accounts do not give you control over who is doing sys admin work. The latter became critical when our traffic levels started getting too great for a single server–we were unable to tweak the server and do other optimizations . Even if the managed host provider is willing to configure the server, you have to wait in their queue for requests to be administered. The first 9 months or so went well at inmotion, but when our traffic levels started to be too much for 1 single server , it became clear that managed was no longer viable–another “good problem”. More traffic is better, of course, but how do you go about setting up a load balancer? Where can you find a reliable sys admin? These were problems I had been blissfully unaware of. All of these questions were eventually answered–we moved to AWS and after some trial and error with different server set ups (ngingx vs apache and load balancing), things started smoothing out. AWS has a lot going for it–mainly in terms of its scalability and configurability. You can set up anything you want, configure it how you want. Scalabilty was huge since it’s become an annual problem for our sites that continue to grow–If traffic levels continue to increase as they have over the last 3 years, with AWS you can simply ‘scale up’ your instance! My hope is is that 2014 will be the first year that we won’t have any extensive down time due to excessive traffic overload . So, what is the downside to AWS? Well, the ability to configure your server any way you want is due to the fact that AWS does nothing for you. They just provide a blank box. It’s up to install an OS, to set up a server, database, sftp server –no small task. Certainly not something that the layman (read : your humble author) can do. Trust me that you need an experienced, system admin who can set things up as well as manage the server, defend it against brute force DDOS etc..
What do you do when you have too many websites that take up too much of your time? Well, I decided to sell 1 or 2 of them including themathgames.com, a site that I put a lot of time into building up around 2008-2010 . It was fun working on that site but the fact is is that the audience age level for that site does not match the age levels of our sites. Mathwarehouse.com, meta-calculator.com and others target an audience that is , in general, older–usually substantially older. So, what’s the best way to proceed selling your site? I first reached out to some fellow site owners who operate competing sites and found some interest. In fact, I have a decent offer from one of them. However, in the end, he was unable to commit to the sale . So enter Flippa! Things are looking good at Flippa. I have been PM’ing a serious sounding buyer and it looks like I’ll be 1 domain shorter soon !